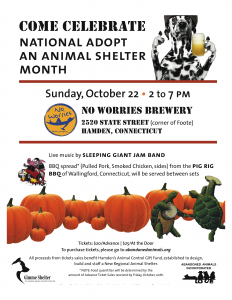 No Worries Brewery; October 22, 2017 – Abandoned Animals Inc.
We took in $1,295. Expenses (food from The Pig Rig, raffle prize/concert ticket, etc…) were $497. Our profit was $797. 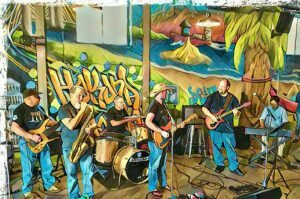 We are forever grateful to Sleeping Giant Jam Band who donated their time & talents for this event. Thank-you Chris Gilbranson, Ralph Santoro, Ken VanCara. J.O. Smith, Ron Divert & Greg Marshall. Kevin Mark, Anthony & Ryan at No Worries Brewery could not have been easier to work with or more accommodating. Attendees were all impressed by the facility, cleanliness & customer service. Thanks also to Jody, Arlene & Mary who volunteered at this event.